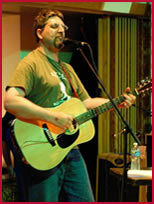 Chris Nelson from Lebanon, PA has been playing music for over 25 years and has written a large volume of songs, mostly under the name of his former band, Fishkill, although on most of the recordings, he played all the instruments. Some of the songs have even reached high chart positions on a variety of Internet radio stations. He released a total of four discs under this name. 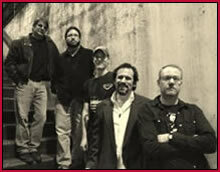 In 2004, he turned the recording project into a live band and began playing music throughout the central Pennsylvania area. 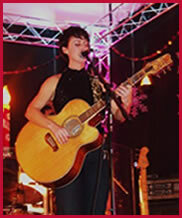 The band even participated in the 2005 Bodog Battle of the Bands in Philadelphia, where they made an impression on the crowd as something a little out of the ordinary. The band, however, only recorded six songs, three of which are live performances. Poor audience turnout and the loss of their first drummer altered the creative chemistry of the band and ultimately, they parted ways. After the band broke up in 2006, Nelson began compiling songs that would be used to re-launch himself as a solo musician. This time, he started leaning toward a more folk-like sound, while keeping the spirit of rock and roll intact. What followed was a new sound known as “Dark Folk”. In 2009, he released his first solo CD, Nightfall which features all new songs which range from hard rock to acoustic folk. In August, Chris released a follow up effort call The Invisible Man. He currently performs songs live as an acoustic performer, but still has a full band on record. Chris’s music was selected for the soundtrack to the upcoming movie “Schizo Effect” released in October of 2010. His music has been featured on WRVV 97.3 FM’s Local Music Program “Open Mic Night with Michael Anthony Smith” broadcasting in the Central Pennsylvania region and on the all-independent show “On the Horizon with John Anderson.” OTH is on 21 different radio stations, with approximately seven million listeners in five different countries. He has also worked with Michael Ellenbogen, author of “The Insider’s Guide to Saving Money” on a song about his life with Alzheimer’s disease. He has also been active in fundraising efforts for veterans, organizing the “Sound Off For Vets” fundraisers on Harrisburg’s City Island in June 2010 and May 2011.